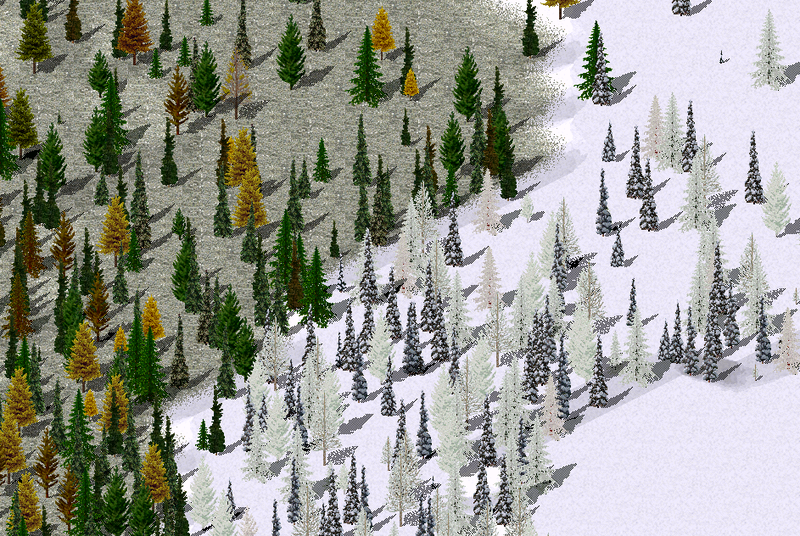 I noticed several high altitude trees in pak128 are not used in forests (DistributionWeight=0). Probably because they have no winter image. I want to resurrect two of them: tree120 and tree121. I "winterized" their images and here are the results. I attached modified .png and .dat files. 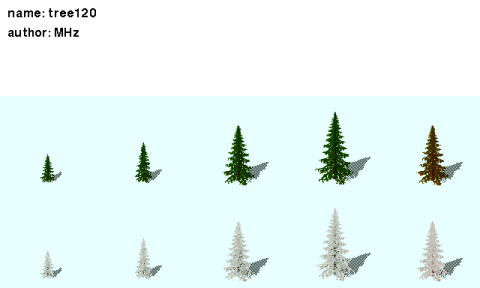 The rest of unused trees are pretty oversized, so I do not plan to touch them. At first sight, they don't look the same as other trees when covered in snow. 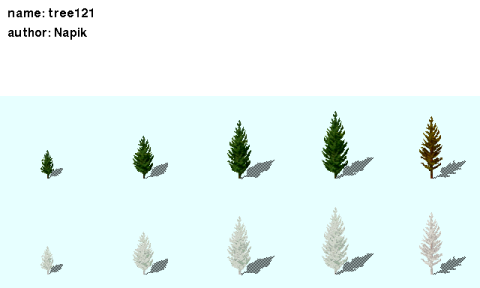 Other trees have patches of snow while the ones you changed have a uniform white shade. Your effort is appreciated but graphics need to stay as consistent as possible. No problem, they can stay as addons. Or maybe someone have a better touch on them. The last step is where some artistic license and experimentation comes in, but it might turn out better.